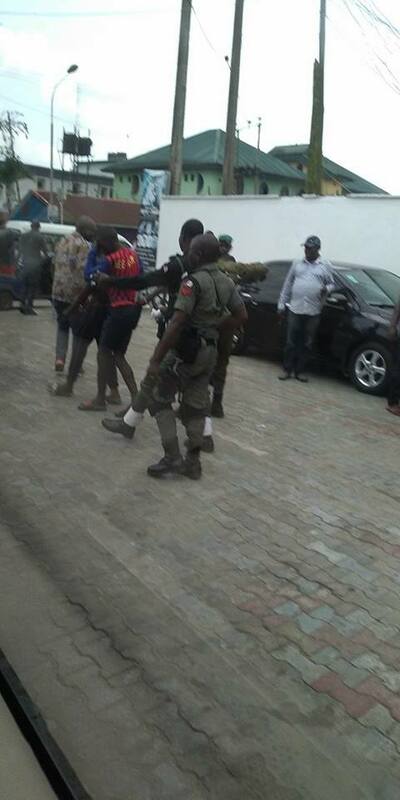 Police officers in Yenagoa, Bayelsa have arrested some armed robbers near First Bank, Imgbi road. They were said to have robbed someone before heading towards First Bank where officers caught them red-handed. Facebook user, Abel Ifemi shared the news. 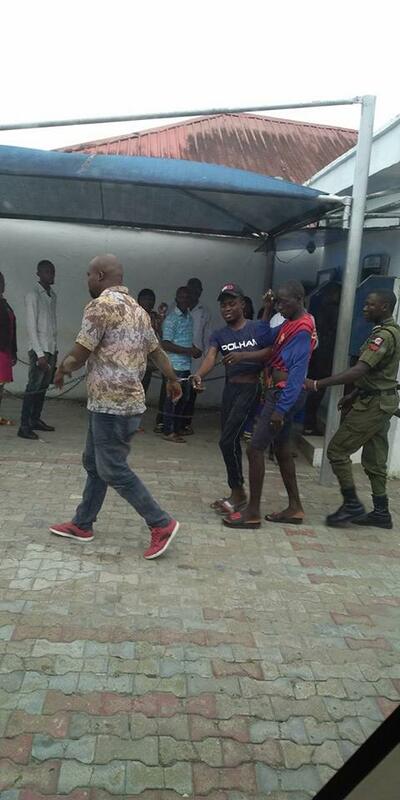 ‘’Attempted Robbery at first Bank,Imgbi road averted,as gallant security personnel caught them red handed. Sketchy reports indicates that the robbers had recently robbed their victim with Keke and was heading to Imgbi road where they were apprehended by the Police at the first Bank area, probably for another mission,’’ he wrote.